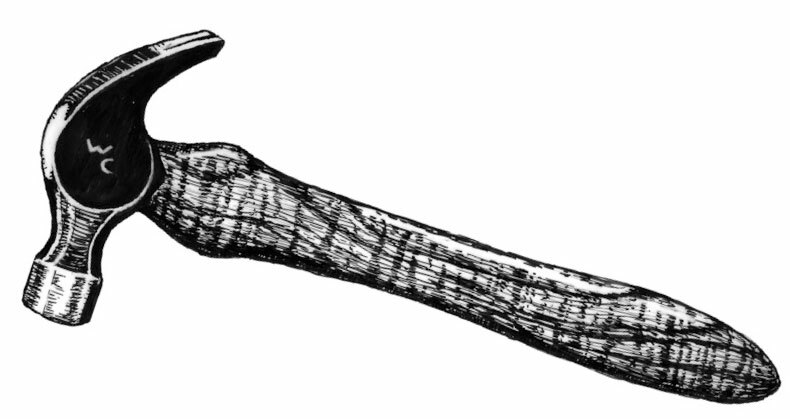 An adjustable wrench, named because the movement of the lower jaw looks like a monkey climbing up a tree. 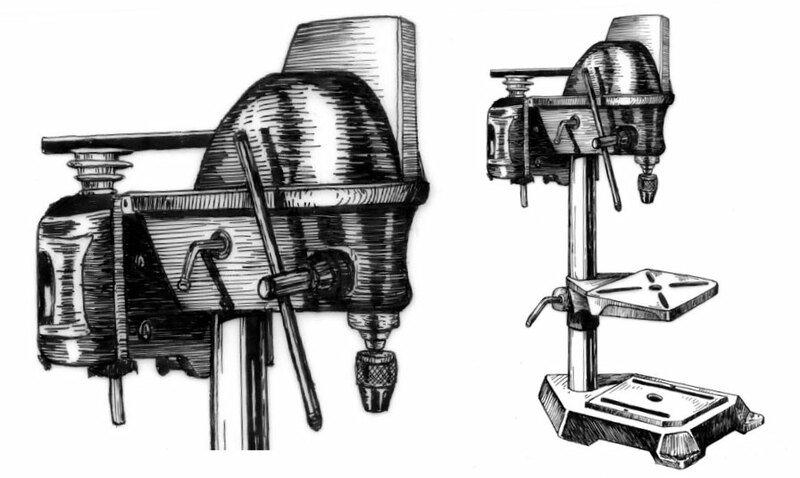 Found as far back as Medieval Europe, screwdrivers are used to drive or remove screws. The name cold chisel comes from its use by blacksmiths to cut metal while it was cold. 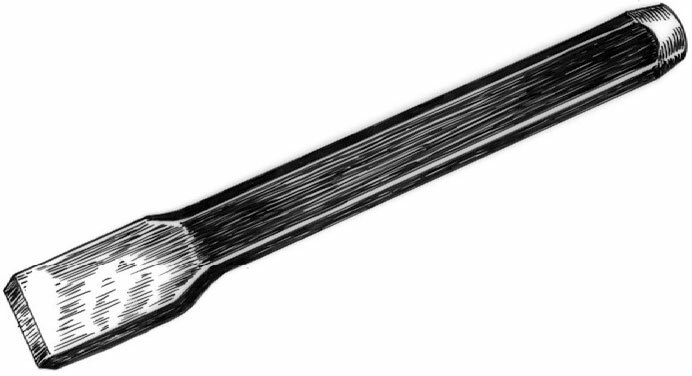 A small crowbar used by carpenters to remove nails. 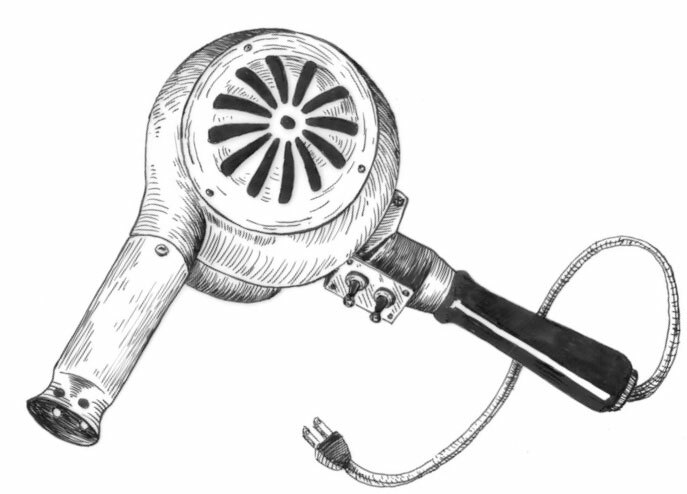 Like a super powered hair dryer, a heat gun is used to remove paint and other adhesives. Maple handled hammers drive nails, forge metal, fit parts and break things apart. 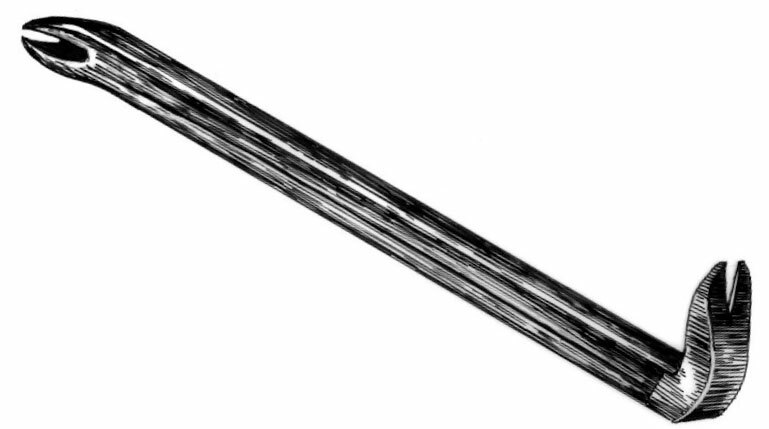 A straight metal bar used to dig post holes or break up compacted dirt, rocks and ice. A powerful mounted drill used for boring various holes and mechanical sanding.